It's that time of year again! 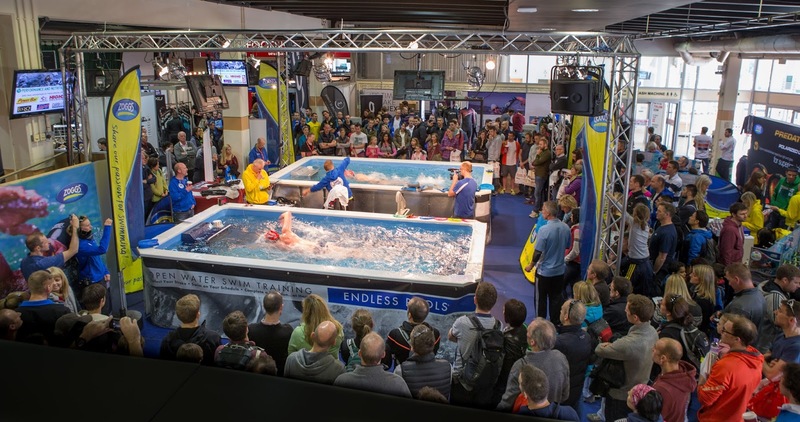 Paul Newsome is making his annual pilgrimage from Perth to the UK for the Triathlon Show at Sandown Park, Surrey, UK this weekend followed by a series of Coach Education Courses near Northampton in March. 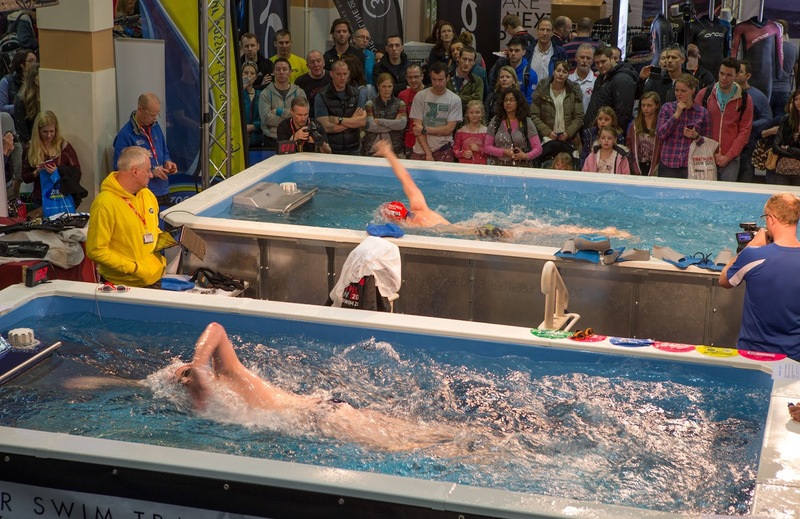 We'd love to see you at the show tomorrow (Friday), Saturday or Sunday on stand S45 in the Swim Zone. If you have any footage of your stroke on your phone (or ideally on a USB stick) bring it along and Paul, Adam, Annie or Gavin will give you a quick stroke analysis! 4:45pm Friday, Seminar: Know Thyself - how to use regular testing and assessment of your swim specific fitness to ascertain appropriate targets for training and racing, leaving you happy that you are achieving goals specific and realistic to you. 2pm Saturday, Seminar: Live Analysis - utilising some fantastic HD video footage of “Before & After” swim video analysis sessions we show you how to tackle the most common issues affecting swimmer’s efficiency in the water. 10:15am Sunday, Seminar: Dominating the Open Water - tips, tricks and sessions to maximise your time spent in the open water this summer. We show you how to use the latest gadgets and gizmos to turn the great outdoors into a measured / objective playground in which to thrive and develop your confidence. 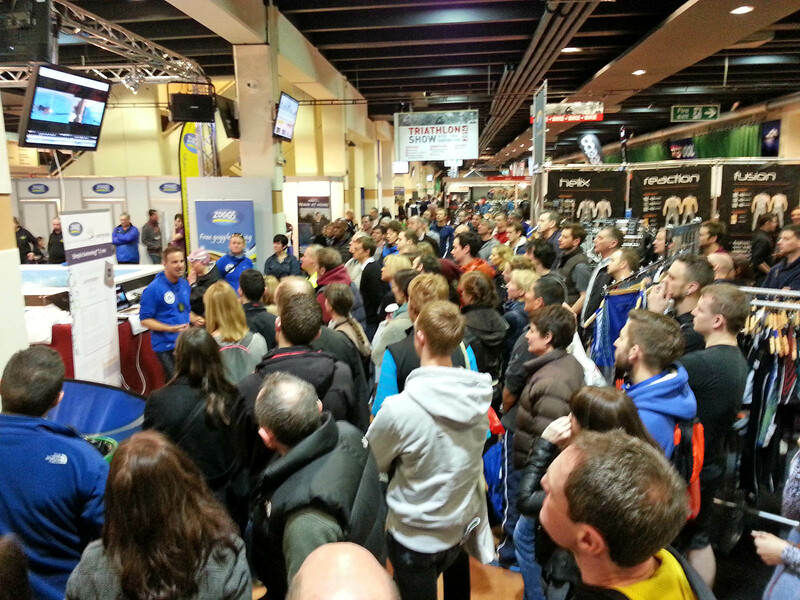 Interest In The Coaching System Free Trial Has Overloaded Our Email System! If you've signed up for our 48 hour free trial today you might not have got the email asking you to confirm your email address. Sorry about that - many thousands of you signing up in a very short period of time have completely overloaded our email sender! The coaching system itself is absolutely fine and can easily handle you all, it's just the verification emails that haven't been sent to activate your account. Sorry for any frustration - we're working flat out on a fix for this but can only ask you to be patient for a few hours whilst we get it sorted. With any luck you should see the verification email pop-through soon. If it doesn't then let us know at customerservice@swimsmooth.com with the email address you signed up with. 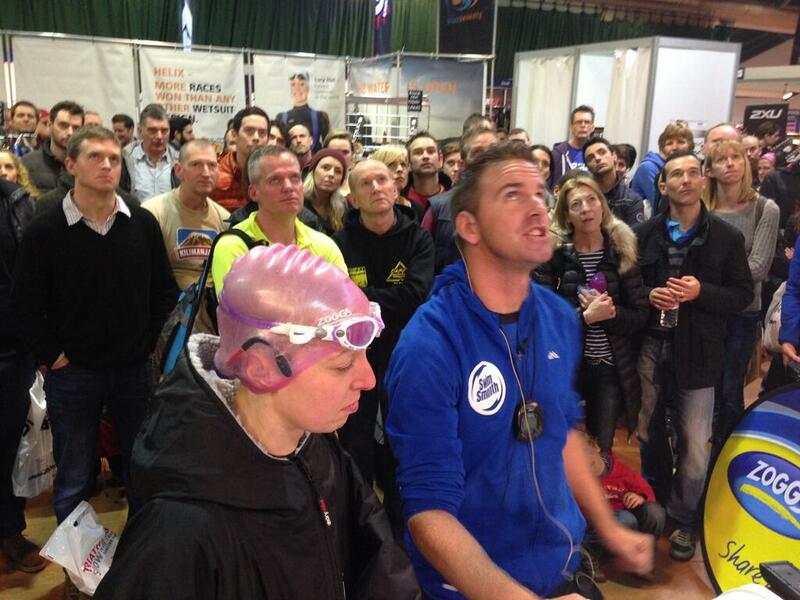 Go Crazy: Try The Swim Smooth Coaching System Totally For Free! This clever Web-app features all of Swim Smooth's drills, elite swimmers, stroke correction methods, training plans and open water skills - everything you need to take your swimming to the next level. What's more you can use it on any smart phone, tablet or computer with internet access. We've designed the system to be intelligent, tailoring its coaching advice and training sessions for your ability level and individual stroke needs. It also tracks your progress and suggests exactly what you need to be working on at any given time in your development as a swimmer. Set Yourself A 14 Week Challenge! If you are in the northern hemisphere then you have about 14 weeks to go before the main summer triathlon and open water events season starts. This is the perfect length of time to get really motivated and focused on improving your swimming. (click on an area of the diagram above to visit that section of the coaching system). Stroke technique and coaching advice is offered based on your Swim Type, so is perfect for your individual needs. Whether you're a beginner completing you first lengths of freestyle, an intermediate triathlete working their way up the field or an advanced swimmer looking to dominate, the SS Coaching System pitches things perfectly for your needs.